Example of an email you should NOT open! In our last post, we talked about suspicious emails that don't look so suspicious on the surface. Here is an example of an email to show you what to look for. In this case, a fake payroll report is being sent. A busy, distracted person may open this by mistake, or an opportunistic employee may try to open it to sneak a peek at confidential information. SLOW DOWN and check your mail carefully. Even with up to date antivirus protection and spam filtering, some emails CAN get through because they are engineered to get through. This can be a phishing email (trying to get confidential information) or a dangerous virus such as Cryptocker. Don't open the door! The link includes a .zip extension which is often used to hide executable files. 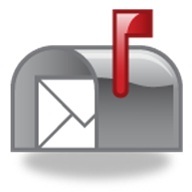 There is no corporate email signature or information at the end of the email. Many things to watch out for, and we thought it would be helpful to point them out. Please help spread the word by including this in your employee security training. You can click on the image to view a larger version which is easier to read. 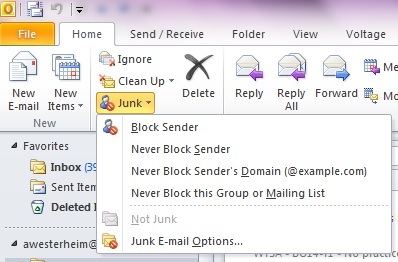 Microsoft Outlook has a built in feature to process junk mail and send it to a "Junk" folder as a way to control Spam in your inbox. This is a great feature if you only read mail in one place, but for most users these days, mail is read on multiple platforms - smart phone, tablet, laptop, browser, etc. This is why we typically recommend filtering Spam in the "cloud" so the mail is filtered BEFORE it gets to your mailbox, and gets cleaned centrally before going to all your devices. 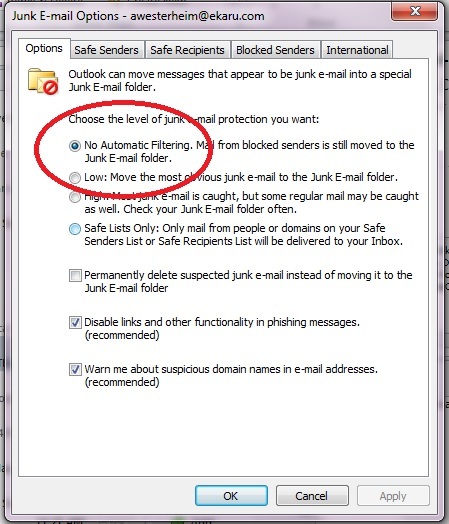 When spam is filtered in the cloud, it's important to turn off the Junk filter in Outlook so you don't wind up with two competing programs doing the work. We often get calls about missing emails that are sometimes found in a Junk folder, or have been processed by forgotten "rules" in Outlook. Some users are fine with checking in two locations for "false positives", but for most users, it just leads to confusion. Keep it simple! 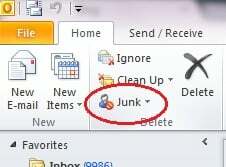 To control your Junk settings in Outlook, in the "Home" tab, select "Junk", and then choose "Junk E-mail Options". This will open the next window where you can control your settings. When filtering is done in the cloud, we recommend turning off the local filter as shown. You can see from all the options that this is a powerful tool, and if you have nothing else, and read mail only in one location, it's worth using. However, we do strongly advise filtering in the cloud and then turning off this setting for most users. Why did that Spam message get through my filter? 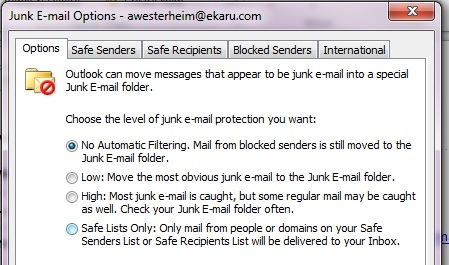 One of the services we provide to our clients is spam filtering. The goal is to stop the spam BEFORE it gets to the mail server so it doesn't wind up on the users' desktop, laptop, iPad, smart phone, etc.... Each month when we do the reporting and roll up the numbers, it's amazing how much volume there is. 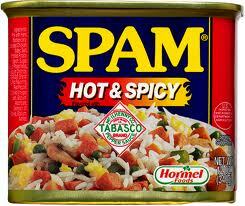 Overall, around 80% of all email traffic is flagged as spam. For some of our clients, this means blocking out tens of thousands of messages a month. I looked at our own domain yesterday, and in February, over 10,000 messages were blocked or quarantined, including 348 emails containing viruses. One of the frustrating things is that with all the sophisticated algorithms involved with the spam security filters we put in place, some spam still gets through. Just yesterday we heard from two clients who reported receiving a spam message that to any human reviewing the email, the disposition should be obvious, but to a computer scanning thousands of messages with respect to certain algorithms, a few get through. In both cases, we saw "Breaking News" emails where for one user, the server logs showed that one email got through and seven were blocked in the past week, and for the other users, one got through, and 65 were blocked/quarantined. In this case, we can see that the filters ARE working, but they are not 100%. For a message with carefully crafted language, the initial emails typically get through, and it isn't until the volume of identical messages is detected that the rest get properly dispositioned as spam. It's annoying for all of us that these spam messages just keep coming to us, but at least with good filtering, the vast majority are stopped.